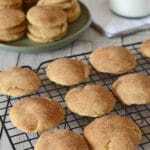 Soft,thick and chewy irresistible snickerdoodle cookies. 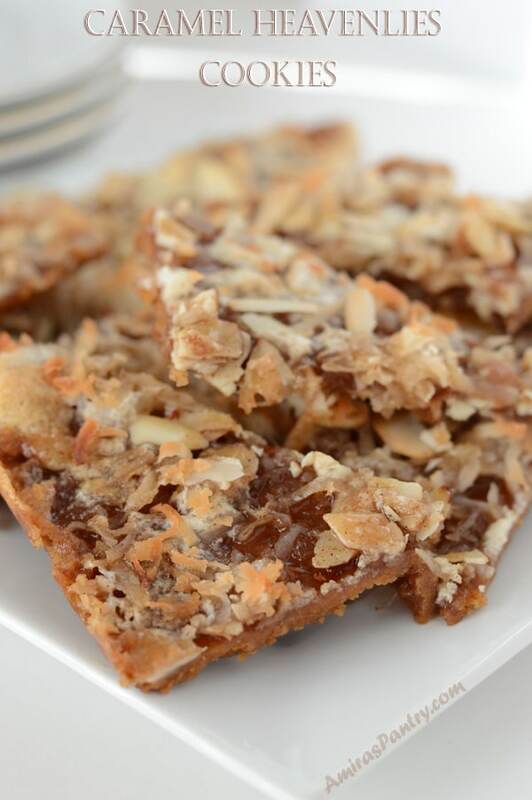 Bursting with cinnamon flavor and very easy to make using only your FOOD PROCESSEOR!. 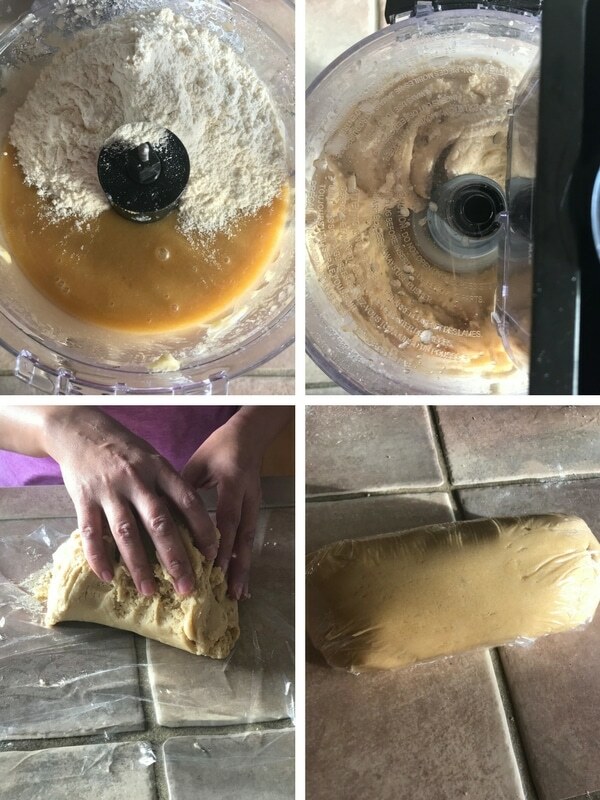 I am obsessed these days , after making the peanut butter stuffed Biscoff cookies, by making cookies in the food processor. SO, I started experimenting with the , all family lovable, snickerdoodles. 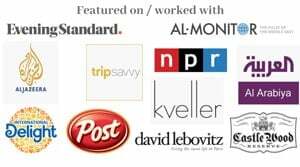 According to me, googling around, it is a delicious type of sugar cookies that is rolled in cinnamon-sugar mixture and baked to perfection. 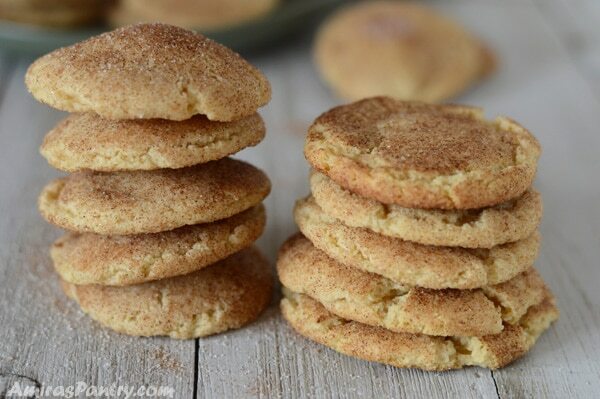 To my surprise and after being here for more than a decade, snickerdoodles should be soft and chewy! Now that is still a mystery, nobody is quite sure who or where these cookies were invented. Some say Germany, Dutch and others say New England. Cream of tartar is used to activate baking soda in these cookies, giving it a desirable tangy taste and adding to its perfect chewiness. 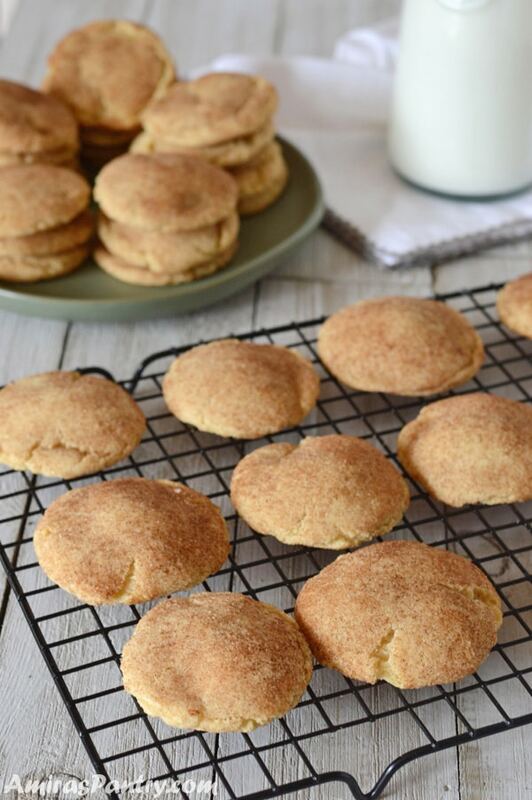 Well, traditional snickerdoodle fanatics will go into a heated discussion that cream of tartar is what makes snickerdoodle …. well… a snickerdoodle路. Cream of tartar is not available all over the world, and this will not stop us from enjoying this marvelous cookie. So bottom line, answer is NO. Use baking powder instead and you are good to go. Now, after clearing some of the commonly asked questions. Let me tell you my friend that, in Egypt, we do not have such a cookie. Almost 9 years ago my oldest, was still in KG, asked me to make snickerdoodles . I was like ..what? snicker what? I seriously thought he was babbling as his English was not good yet. While shopping at Walmart, I found those sacs of snickerdoodles mix and I said to myself ” the boy was not babbling afterall!” 藍.
I mixed, I baked, I waited and waited and waited …… for the snickers to show up, but it was not there hehehe. I asked my little guy, are these the cookies, his face lightened up with joy and said yes mama. Up until a month ago I thought snickerdoodles are crunchy, thin and cinnamon-y cookies as that’s what I get out of these ready mixes. Oh boy, I am so lagging behind! I was seriously surprised when I discovered that they should be soft and chewy!!! I was feeding my kiddos wooden cookies and feeling good about it.. But not anymore. First confession: I did not creamy butter and sugar. Here I said it. I broke some rules here to ease our kitchen life a bit, so do not say I did not warn you. But give it a try and I know you’ll be happy. 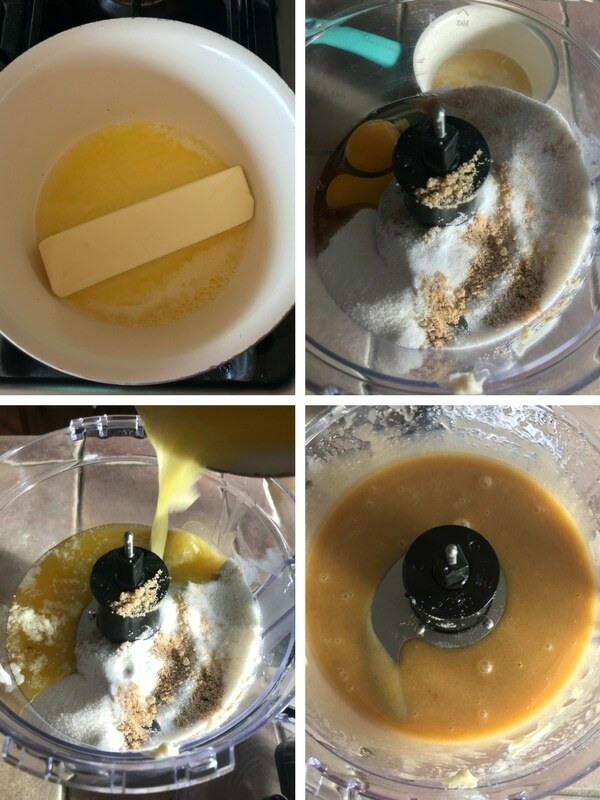 So I melted the butter, waited for it to cool down before mixing it in the food processor with white and brown sugar, eggs and a little vanilla extract. 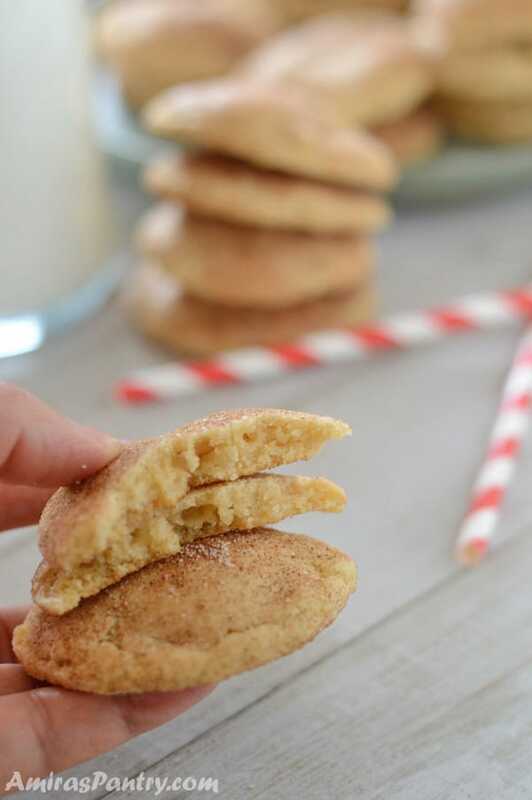 Two more rules are broken here, classic snickerdoodles are made with only white sugar. 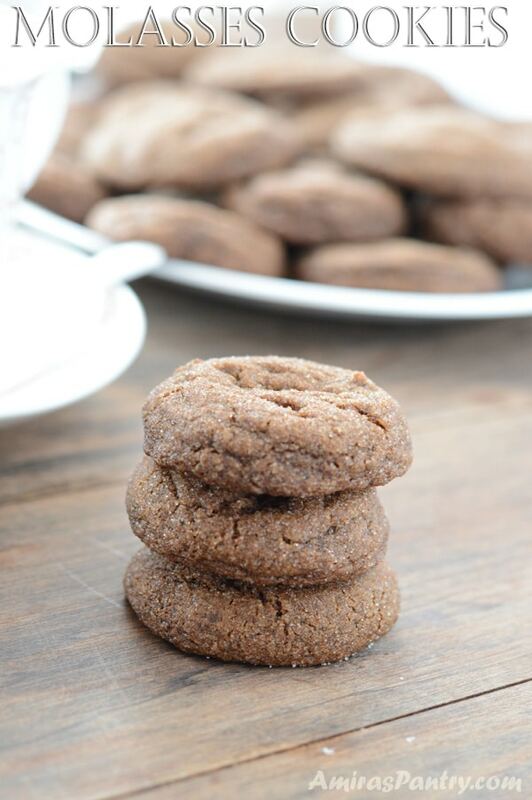 Adding brown sugar to the mix contributed a further caramel notes of flavor and increased softness of the cookies. In a separate bowl, combine dry ingredients then gradually adding to the bowl of your food processor. Process until the dough comes together and be sure to scrape the sides and bottom of the bowl. I emptied the content of the food processor on a piece of plastic wrap, worked it a bit to ensure everything is well incorporated. Wrap well then refrigerate for a couple of hours and up to 3 days. 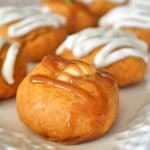 Form balls of 1.5 tablespoon of the dough each and place them apart on a lined baking sheet. Bake in a 350F oven until done… and now here is what I have found. A common problem in snickerdoodle, and actually in all cookie baking, is spreading. Actually, these cookies taste delicious either ways. But, let’s talk flat cookies vs puffy pillowy cookies. Both will be tasty and soft, unless you left them for 30 minutes in the oven of course. So here is what I suggest, you’ll need to test your oven first for the first couple or maybe 4 cookies. Until you get the hang of it. I watched my first cookie like a hawk. and when it started to crack I removed it immediately. Left it to cool down for a minute on the baking sheet then on a cooling rack. It was puffy, soft but doughy in the middle☹️. So next test, I left it for a minute after it started to crack, then removed it and left it to cool down on the baking sheet for 2 minutes and finally left it to cool completely on the baking rack. It was perfect, chewy, soft and well done. The above picture ☝️ shows two stacks of cookies, the puffed up ones were baked as I told you. The other more flat and more cracked stack was baked traditionally for 12 minutes. Both tasted very delicious and was soft specially in the middle. One bite of these and you will never be able to go back to these mixes again. 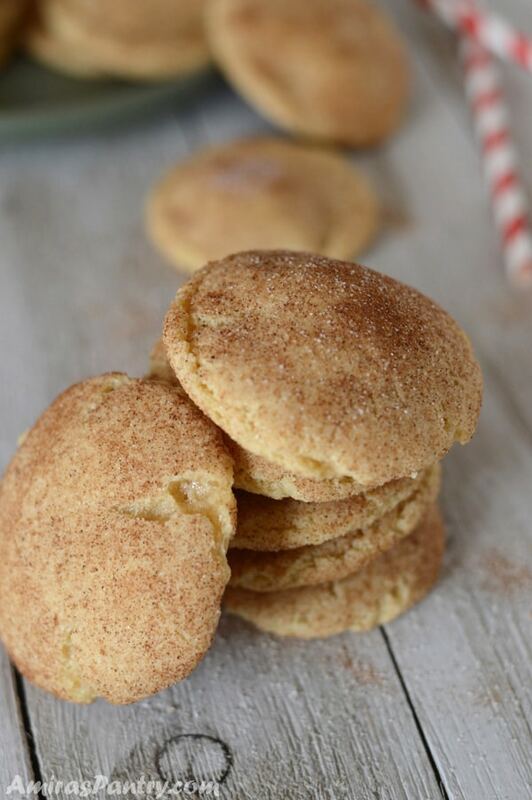 Delicious and soft sugar cookies rolled in cinnamon sugar. Thick, chewy and bursting with cinnamon. 1 1/2 teaspoon vanilla extract. In a saucepan over medium heat, melt butter then turn off heat and let it cool down to room temperature. In a large bowl, mix flour, baking soda, baking powder, salt and cream of tartar until everything is well combined. In your food processor, add melted and cooled butter, eggs, vanilla extract and all sugars. Pulse until well combined. Add the dry ingredients and pulse again until you have a consistent dough, be sure to scrape sides and bottom. Work the dough with your hands a bit until you are sure the dough is consistent. Wrap the dough with plastic wrap and refrigerate for a couple of hours. Line two large baking sheet with parchment paper or silicone baking mats. Combine coating mixture in a small bowl and set aside. 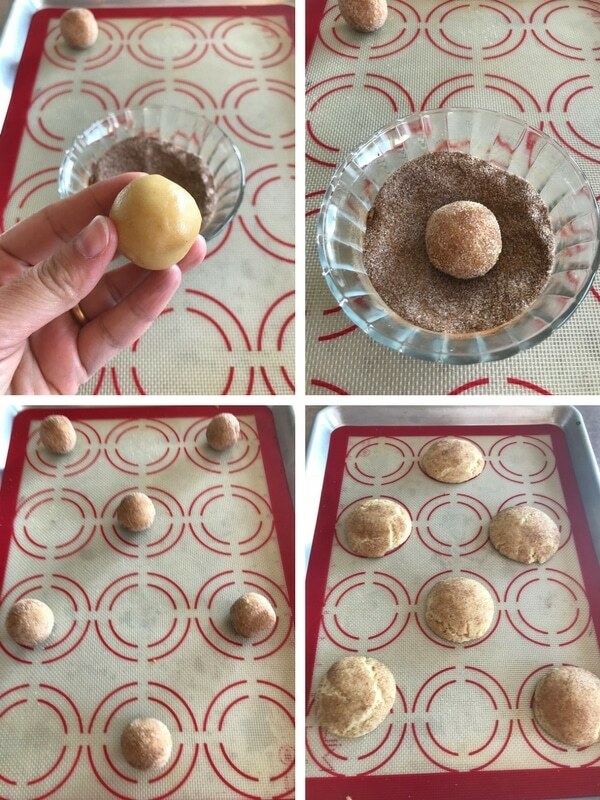 Take 1 1/2 tablespoon of cookie dough and form into a ball. Roll into the cinnamon sugar mixture. Remove from oven and let it cool for a couple of minutes on the baking sheet. Transfer to a cooling rack to cool completely. 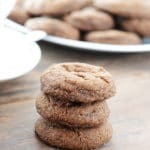 * You can make the cookies with all granulated sugar if you cannot find brown sugar, but really brown sugar gives these cookies a desirable taste. ** If you cannot find cream of tartar you can substitute 2 teaspoon of baking powder in place of cream of tartar and baking soda. Which means adding 3 teaspoons of baking powder to the whole batch. 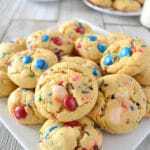 *** Cooking time and temperature is a key to the success of these cookies. Leaving it too long will result in a more flat cookies as shown above. The taste will still be amazing but it will not puff up, so here is what I have done. I’ve waited for my cookies until it started cracking ( this was at 8 minutes mark), then left them for another minute and took them off the oven. Let them cool for another couple of minutes on the baking sheet then transferred them to cool completely on the cooling rack. My oven also had spots, near the rear wall, that is hotter than near the door, so I made sure to rotate my baking pan halfway through baking time. This was a great recipe and your instructions were perfect. I scooped them with my 2tbsp and they were big and fluffy. Natalie, this is great. I am glad that my instructions were helpful.